We have the READERS YOU WANT to reach! 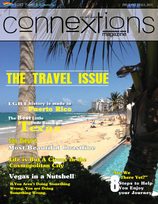 Connextions Magazine is the LGBTQ award-winning travel publication. We cater to the entire rainbow population, including our gay families, individuals who highly value their vacation time and their budget. We are dedicated to bringing our readers the truth in travel, inside a publication that is not over compensated by page after page of advertising messages. Our uninterrupted travel reviews, stories and product highlights are complimented by beautiful photography. All of our articles are personal experiences from our writers, who travel the globe looking for the perfect gay-friendly destination. 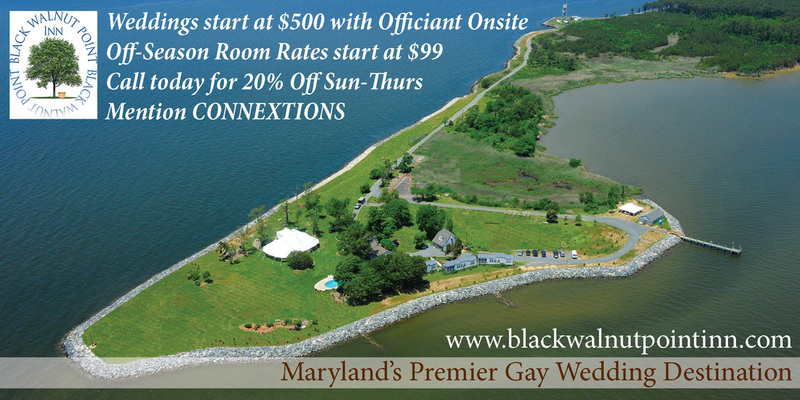 - We are a quarterly travel magazine dedicated to serving the LGBTQ community. - Our issues are published in FEBRUARY, MAY, AUGUST & NOVEMBER , with special travel guides to individual cities being published 4x per year in between the large quarterly magazine. 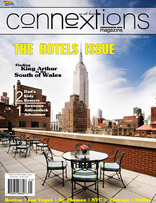 - Issues are for free digitally through the Connextionsmag APP & on printed copies can be purchased separately. - Our first issue was published in 2010. Our incredibly loyal subscriber base has grown tremendously (over 66% in the past 4 years alone) and Connextions Magazine is now read in over 135 countries worldwide, with impressions soaring at over 400,000. - 7,300+ FaceBook fans; 6,800+ Twitter fans, 1,600+ Instagram fans , plus over 4,000 followers in moovz, wordpress, Linkedin, tumbler, and much more! - We are ranked in the TOP 5% of Social Media Users! In order to best serve our readership, we offer simple options within Connextions Magazine where advertisers can offer exclusive discounts and coupons, as well as showcase their upcoming events. We keep it simple and affordable so every small business is able to reach our target market. Connextions Magazine offers DIGITAL/PRINT MAGAZINE and WEB advertising in two (2) simple steps, at very affordable prices! If you do not have camera ready artwork available, no problem - just send us your logo or a photo you wish to use and we will design it for you! STEP 2 - How to Get Your Ad Ready! 1. Fill out the online reservation form. 3. Make your payment via paypal, secure credit card transaction, or check.